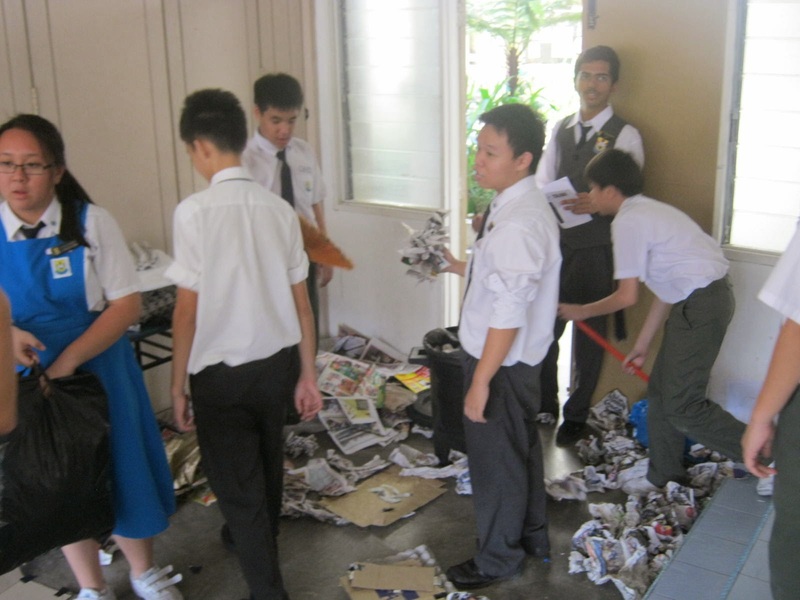 On the 24th of June 2014, SMK Bandar Utama Damansara (3) held its annual School Cooperative Day. 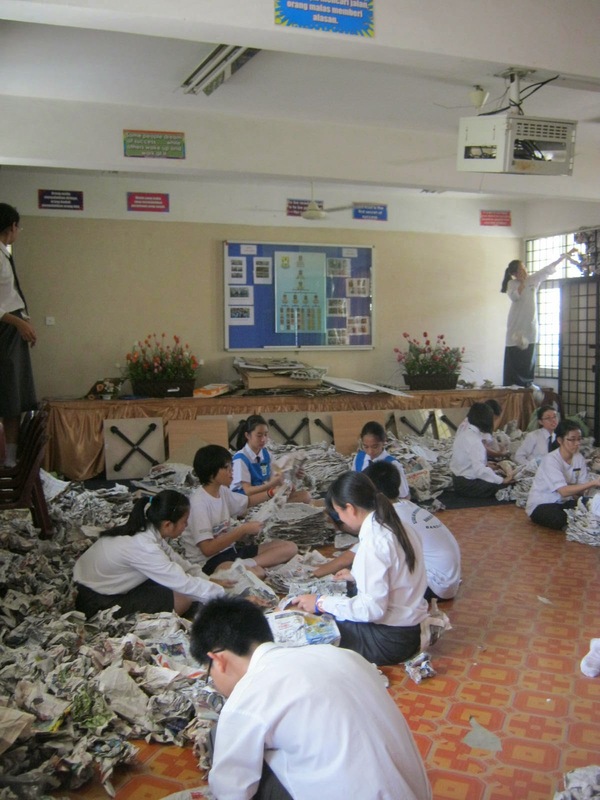 With coupon books to be bought at the school cooperative, most of the classes set up stalls to raise funds. There were smoothies, sandwiches, grass jelly, soy milk and more. There were so many stalls to choose from! There were also game stalls, souvenir stalls. This year, the escape room was prepared by the Librarians and haunted house managed by the class of 5 Seroja. Besides fund-raising, this day was for everyone to have fun in school. Parents were allowed to join in the fun as well! Everyone was busy setting up before the school bell rang at 7.30 a.m - hoping to have good business later on in the day. As for me, I was busy helping out in the Librarian's escape room. We put in a lot of effort for all three of the escape rooms, as we hoped it will all go on well. Different teams were assigned to different rooms. As for my team, all of us kept checking everything to make sure it was all alright. There were four shifts, and five people on each shift. My team had ten people. Thus, when the first group of people came to us, we briefed them, told them the rules and regulations and then let them go in. It was pitch black inside the escape room. One of us stood at the entrance to make sure that everything was alright and kept track of the time. The groups were walking close together, looking for clues. They were afraid too. One of us hid under the table to scare them, which was really funny when a whole group suddenly shrieked! This was really fun - being able to help out with the Librarian's escape room. When I have finished my shift, the five in the first batch had to teach the other batch how everything was done as they have not done it before. I went downstairs to spend my coupons for a while and observed what others were doing. The food stores downstairs were selling things cheap because the closing time was drawing nearer. 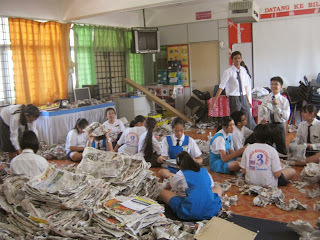 At that time, some stalls were already packing up as their goods were sold out. The most popular games were haunted house, escape room and dunk the boy. Helping and planning the Librarian's escape room was a very good experience, even though it was tiring. I enjoyed it thoroughly even if I had to be there most of the time. I hope to do this again soon. Even though I don’t know how much was raised ,but I believed it has been a reasonable amount as everyone had put in a lot of effort and supported the whole event. This School Cooperative Day definitely will benefit the school greatly.